Below are instructions on how to manually install the Group Policy version of the Google Phish Alert Button (GPAB) to a Windows machine. This installation method may be helpful for admins wanting to test the GPAB (GPO) extension before deploying it through Group Policy. For instructions on how to deploy through Group Policy, view our GPO Installation Method article. Navigate to: https://chrome.google.com/webstore/detail/phish-alert-gpo/bmmndfhkanjpikffhngkbbkambjhgpdo. This will take you to the Phish Alert (GPO) extension in the Chrome Web Store. Here, click on the Add to Chrome button. 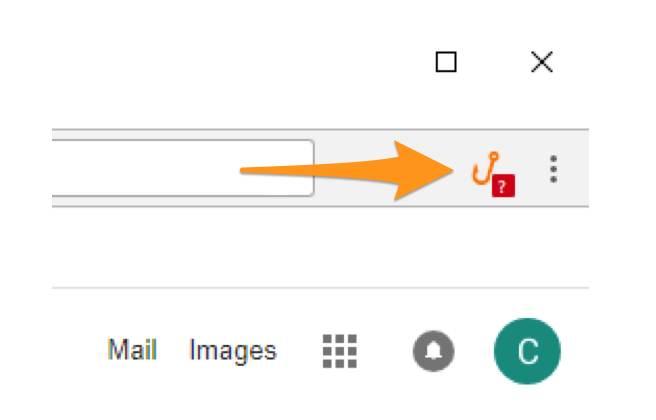 A prompt will appear for you to add the Phish Alert (GPO) to your Chrome browser. Click on the Add extension button. Once added, your GPAB will display a red question mark. 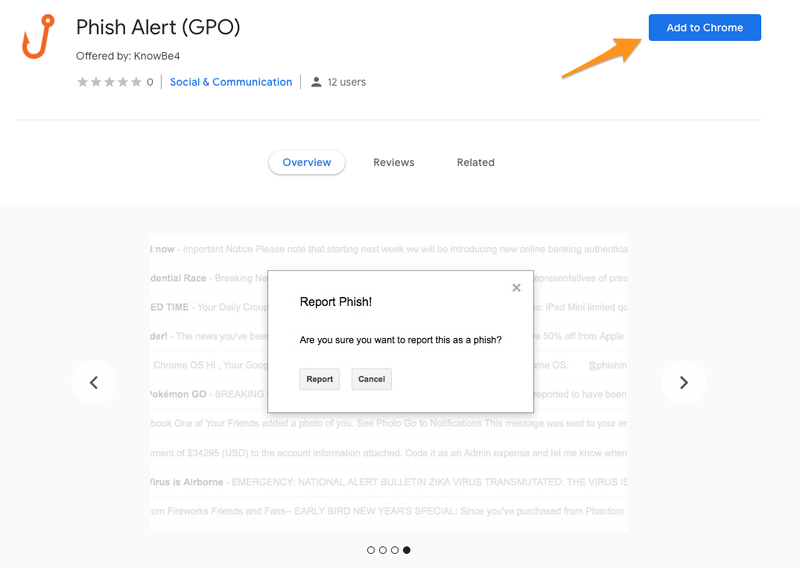 In your KnowBe4 Account Settings, locate your Phish Alert license key. Add this key to the GPAB.txt file as the value of the "api_key". Then, save the .txt file as GPAB.reg. Run GPAB.reg (this requires local admin permissions). This will add your Phish Alert license key to your registry. Restart your Chrome browser. Then, you will be able to use the GPAB to report emails from Gmail. How Do I Copy a .bat File When Installing the PAB Through Group Policy?